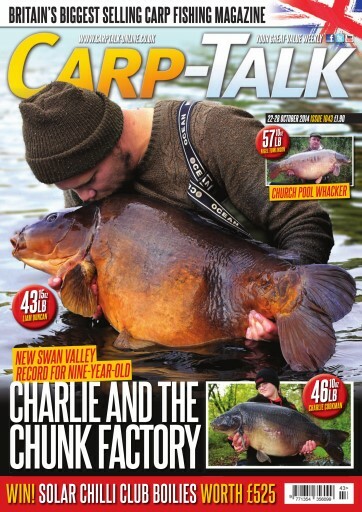 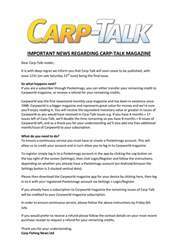 This week’s issue of Carp-Talk (issue 1043) is available to download now. 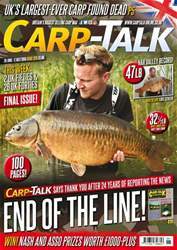 Jason Umney recalls the capture of a lovely common from a Shropshire mere, Darrell Peck describes his deceptively simple semi-stiff hinge rig, and Mark Watson discusses the tactics he uses to pick up bonus bites this autumn. Adam Smith explains how he changed his approach to catch one of the finest carp in Oxfordshire, and the new Chunk range from Fox goes under the spotlight in ‘Trade Talk’. 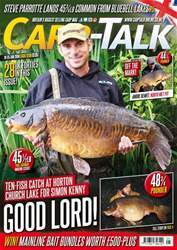 The Fox-Mainline CAOTY competition continues, the Gardner Tackle monthly winners are announced, and there is £525 worth of Solar Chilli club boilies to give away.